Nanjulian falls, as falls Nanjulian. 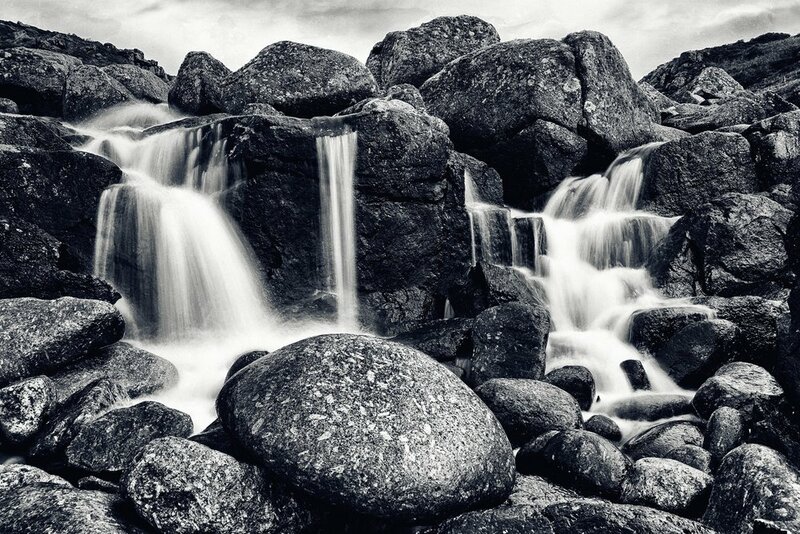 Limited print run of this image taken recently at the Nanjulian falls, Cornwall available in store now. HARMAN GALERIE FB DIGITAL is a real Baryta/Fibre based silver gelatin photographic paper based upon traditional B&W silver halide technology. It has panchromatic sensitivity optimised for tricolour laser enlargers such as Durst Lambda and Océ Lightjet. GALERIE FB DIGITAL has excellent D-Max, sharpness and surface finish that will give superb continuous tone black and white images.